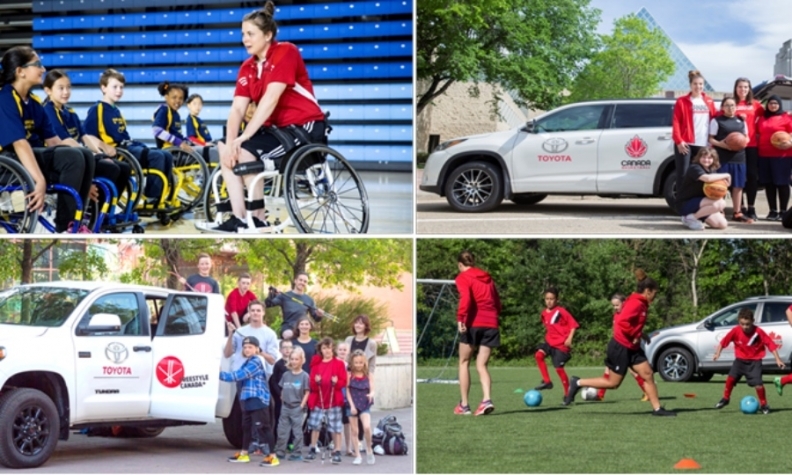 Toyota Canada has signed marketing deals with four of Canada’s national sports organizations. The automaker will be the official mobility sponsor and official vehicle of Canada Basketball, Canada Soccer, Freestyle Canada and Wheelchair Basketball Canada. All told, 24 national teams and the country’s freestyle ski program will be sponsored by Toyota. The automaker declined to disclose how much the sponsorships are worth. “Toyota’s sponsorship will help us continue to foster the growth and development of basketball across the country – from grassroots programming to our national teams,” Canada Basketball CEO Michele O’Keefe said in a statement. As a sponsor, the company will support elite level athletes and national teams, as well as the development of various grassroots sports initiatives. The partnership will also see Toyota contribute to Canada Soccer’s ongoing grassroots development efforts to grow the game through Active Start Soccer Festivals, which include more than 140 events hosted by local soccer clubs across the country. As the official sponsor of Freestyle Canada, Toyota will contribute to the execution of the organization’s domestically hosted international competitions as presenting sponsor of the FIS Freestyle Ski World Cup events in Quebec and Alberta. Toyota will also become a presenting partner for the National Academy at the Pan Am Sports Centre, which is the world’s first dedicated, year-round, daily training facility for wheelchair basketball athletes.